You know how most food bloggers get all excited about pumpkin and apple recipes come September 1st? Well that’s how I am about gingerbread, come the day after Thanksgiving. I like pumpkin and apples fine, but I’m just not ready to let go of summer at that time. I betcha I don’t relent summer until the end of October. But by the time Thanksgiving has come, I’m ready to bring in Christmas, my favorite of all celebrations, and with it, all things gingerbread! The most prominent flavors in gingerbread are molasses and ginger. 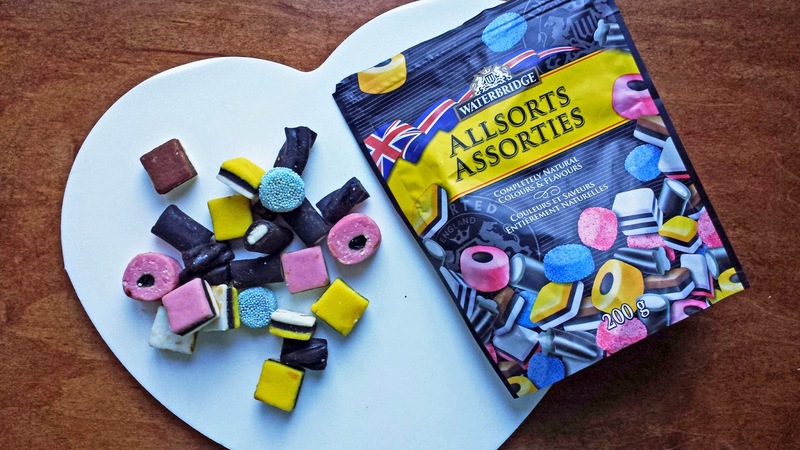 I’ve always had a thing for molasses, my great grandma always had a candy bowl full of Allsorts candy in her home, and when I’d visit my hand was always in that candy jar. But now ginger is one of my faves…Apparently as an adult I don’t mind the soapy. 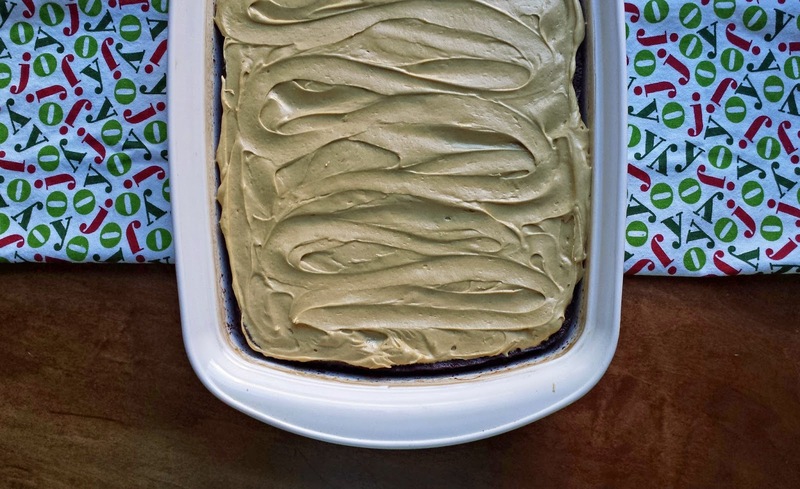 I decided to make this Gingerbread Cake a sheet cake, because most holiday parties have all kinds of sweets going on, dessert buffets even, and if you’re like me, you like to try a little of everything, so a big slice of a double layer cake is out of the question. Gingerbread Cake definitely tastes of molasses and spices, and I wanted to reinforce those flavors in the frosting because I’m so gaga for them so I added molasses and cinnamon to the Molasses Cream Cheese Frosting and then sprinkled slivers of crystalized ginger over the top. 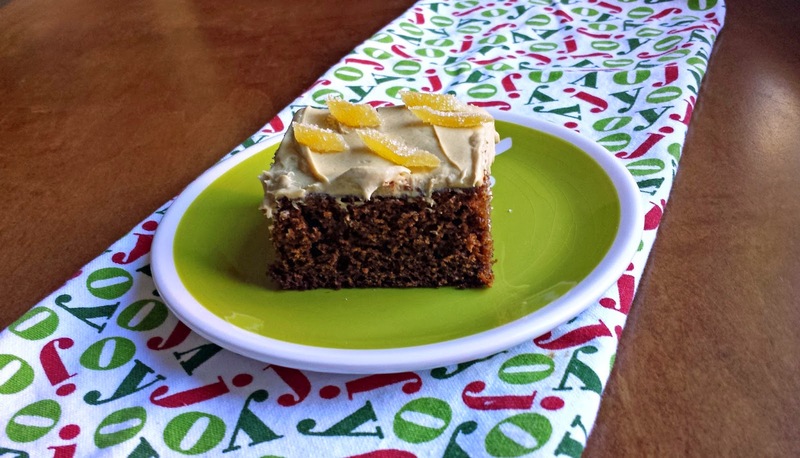 Some of you folks may not have the same affection that I do for molasses, and if that’s the case, a lemon cream cheese frosting would complement the Gingerbread Cake equally as well; either way, the crystallized ginger is a must in my book, it really makes the dessert! 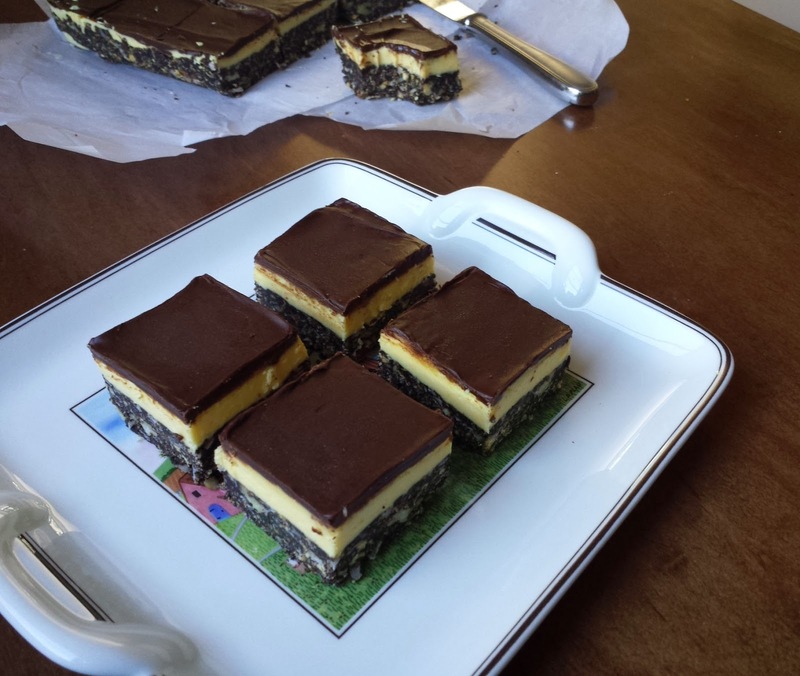 Now listen to how I rationalize eating this dessert without guilt. Because this is naturally a denser cake, I felt that it was okay to use some whole wheat flour, which has fiber, protein & iron. 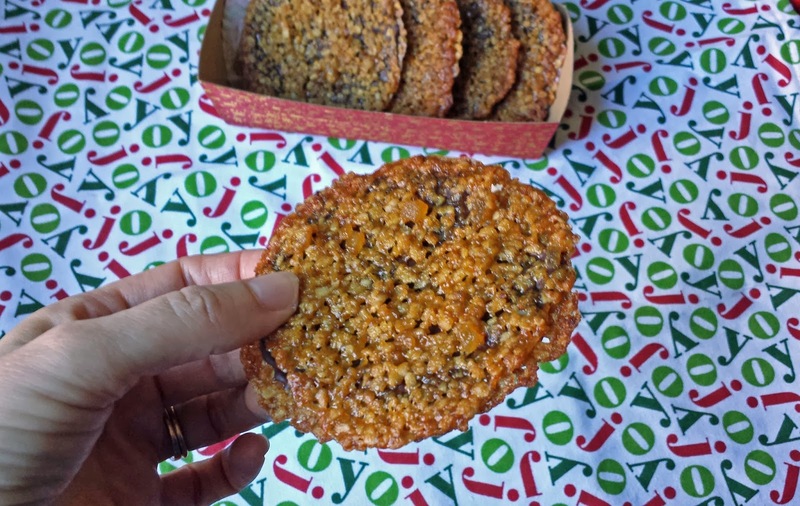 Molasses is super-duper-duper high in iron and calcium. Cinnamon helps with diabetes, heart disease, brain function, and arthritis. Ginger also helps with arthritis, has anti-viral properties and aids in digestion! 1. Pre-heat oven to 350 degrees. Either spray a 9 x 13 x 2 inch baking dish with baking spray, or grease it with butter and flour. 2. Combine the dry ingredients, whole wheat flour through salt, in a medium bowl, whisk to combine, and set to the side. 3. In a large bowl cream together the softened butter and brown sugar; a handheld mixer work well for this. Beat in the Greek yogurt, eggs, and molasses and mix for a good 2 minutes until the mixture is light and fluffy. Mix in half of the flour just until combined, and then mix in the boiling water, finally mix in the remaining flour. 4. Pour the batter into the prepared baking dish and bake 25 to 30 minutes until the center of the cake springs back when touched, or a skewer inserted into the center comes out clean. Allow to the cake to cool completely before frosting. 5. Spread the frosting evenly over the entire cooled cake, and then distribute the crystallized ginger over the frosted cake. 1. In a medium bowl cream together the cream cheese and butter. Add half of the confectioner’s sugar, as well as the molasses and cinnamon, whisk until combined, and then beat in the remaining confectioner’s sugar until completely smooth. Note: If you’re not a molasses nut, like I am, then omit the molasses and cinnamon in the frosting, and substitute the zest of one lemon instead. 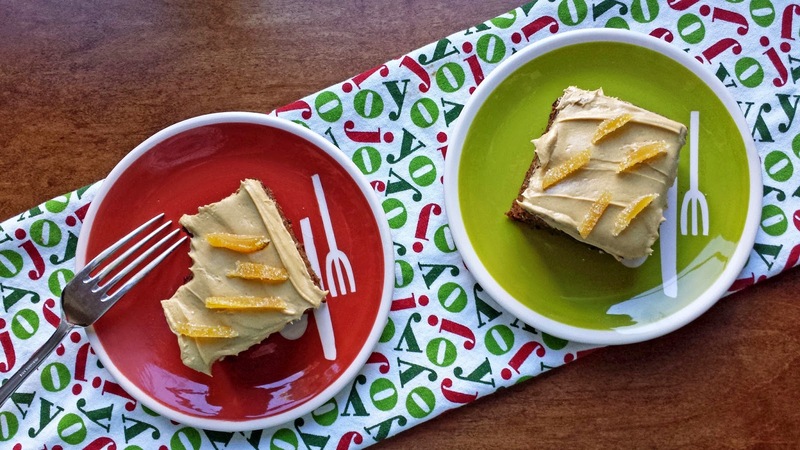 YES to gingerbread! JUST YES! I love me some pumpkin, but I'm more of a gingerbread gal myself. I haven't made a single gingerbread thing yet this year, so I'm totally inspired by this delicious cake. That frosting?! UGH so good. Love the health benefits of this beauty! I love gingerbread flavour and aroma. This looks like a perfect holiday treat, kari. Yum Kari - just a dollop of whipped cream and I'm good! 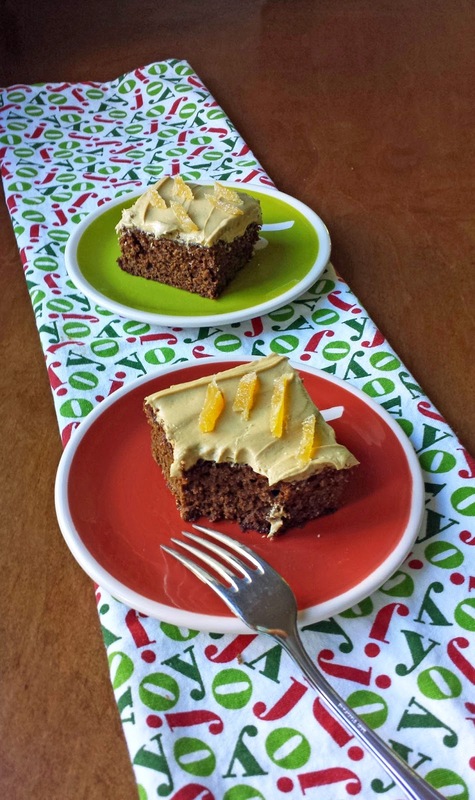 Love a good spicy gingerbread cake and yes - you should eat a second piece because it is so good for you! Merry Christmas pretty lady!